Ships tomorrow if you order in the next 19 hours 14 minutes. All Natural Honey - Wildflower from Patz Maple & Honey Farms is made from unprocessed honey gathered from bees who visit wildflowers. Bees that visit wildflowers may carry pollen back to the hive, where it gets into the honey. 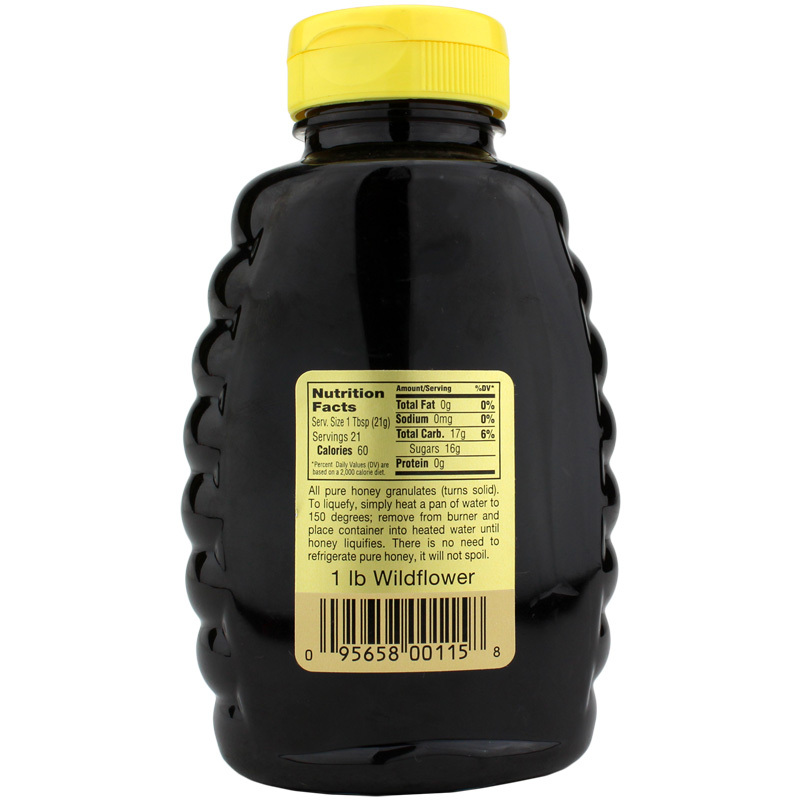 This raw, unprocessed honey is not pasteurized meaning all vitamins and minerals, including pollen that may be in the honey makes it into the bottle. Consuming this small amount of pollen is believed to support a normal immune response to harmless substances and a healthy tolerance to pollen. Honey is comprised of sugars and carbohydrates. The primary source of sugars is from fructose, known as fruit sugar, and glucose. The remaining sugars include maltose and sucrose. Honey may provide temporary relief from occasional coughing, support for a healthy immune system and cellular development, and can be applied to the skin. Make wildflower honey a part of your daily routine and enjoy the raw, unprocessed taste and nutrients. Each bottle uses honey that is sustainably harvested from bee hives. Try it for yourself today. 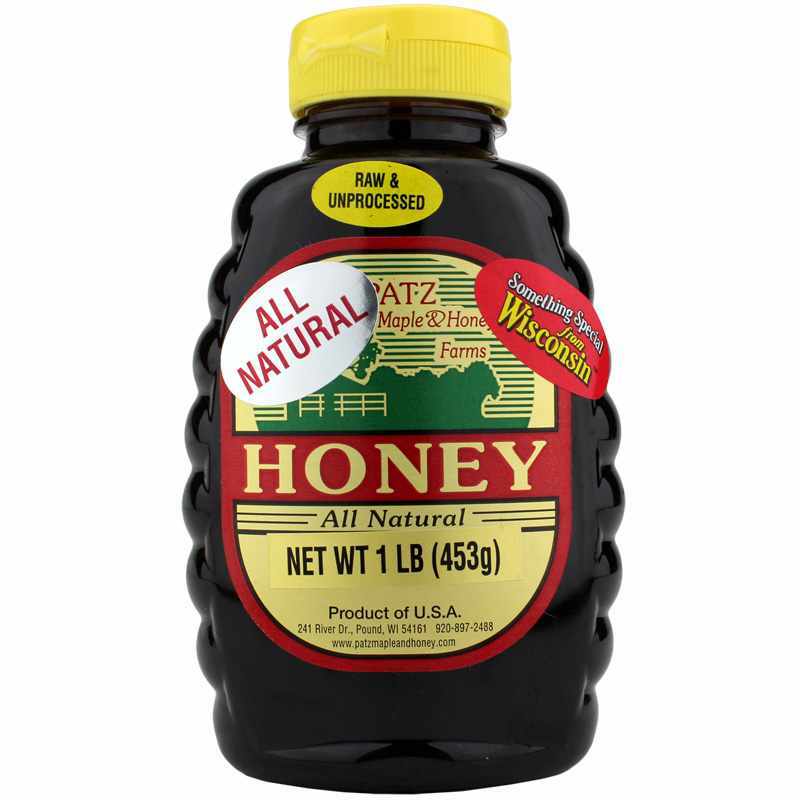 Ingredients: Raw, unprocessed wildflower honey. We have been purchasing from Patz for years and have never been disappointed.We have easily spent around $1000 yes that is 1000 dollars over the last 10 years. When we know they are at an event we look for them.